Members, prospectives and Rotarians came out bright and early on Sunday, July 11 2015 to give the park a new look. 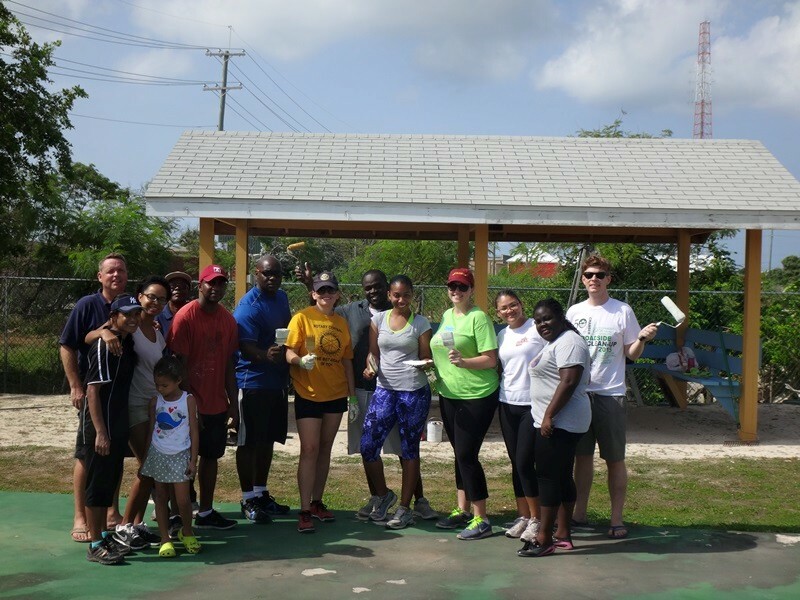 On Saturday, July 11th, 2015 members, prospectives and Rotarians of Rotary Central spent the morning beautifying the Neil Godfrey Park, located in Swamp GT. We replaced the basketball net, a swing and repainted all swing sets and the cabana. We hope that with the fresh new look, the community will be able to enjoy the park this summer.